Love the hammered jewelry trend but prefer your jewelry to have a softer, more feminine look? 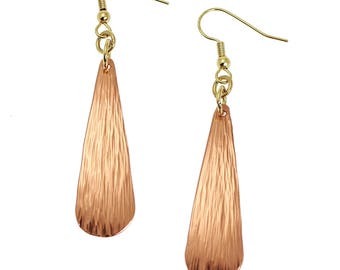 The John S Brana Hammered Copper Triangular Drop Earrings are the perfect solution to your fashion conundrum. 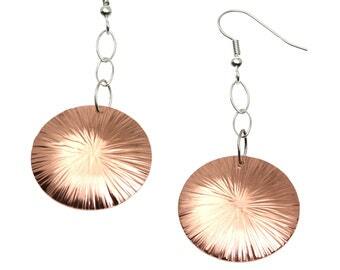 The copper precious metal gives these exquisite earrings the feel of rose gold with a hue that has a touch of pink. The hammered texture will have you looking incredibly trendy, but the traditional tear drop shape is timeless enough to ensure that you'll be wearing these earrings with everything for years to come. 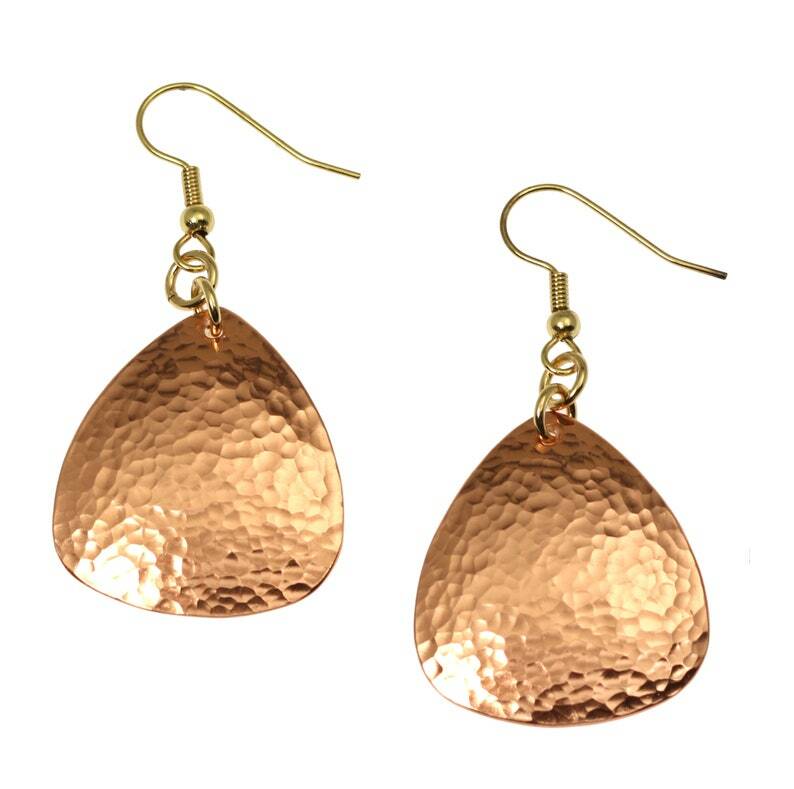 Crafted by hand from start to finish in the USA, the John S Brana Hammered Copper Triangular Drop Earrings are genuine copper. The tear drop shape of the earrings is slightly geometric with straight sides coming to a rounded bottom for a chic, contemporary look. The copper is protected by a clear coating that helps it resist tarnishing. The findings and the French earwires are crafted out of durable metal filled with 14-karat gold. For all International Orders - VAT, Import, Excise and other Duty fees ARE NOT INCLUDED in the purchase price. Please check with your Post Office first for applicable Duty and Excise Taxes before placing an order. A restocking fee of 15% will be assessed on International purchases that were returned due to Unpaid Customs or VAT Fees. Feel free to start a Conversation with me regarding any questions you may have about my designs! Long Bark Copper Tear Drop Earrings - Copper Drop Earrings - Long Copper Dangle Earrings - 7 Year Anniversary Gift - Copper Gifts for Her! 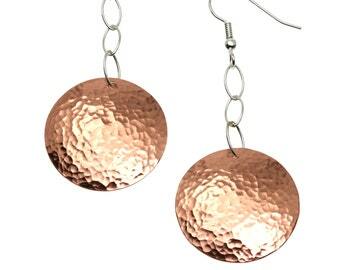 Hammered Copper Disc Drop Earrings - Rose Gold-Tone Dangle Earrings - Makes a Great 7th Wedding Anniversary Gift! Very pretty earrings and shipped quickly. Constructed very well with thick and sturdy jump rings. I expect to wear these statement earrings a lot. Thanks! Chased Copper Drop Earrings - Makes a Unique 7th Wedding Anniversary Gift! Aluminum Bark Cuff Bracelet - Silver Tone Hypoallergenic Bracelet - Makes a Beautiful 10th Wedding Anniversary Gift!